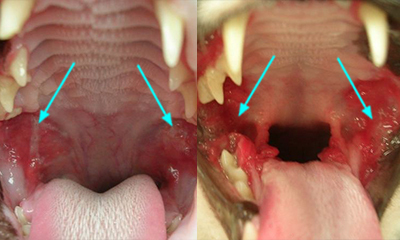 Stomatitis can be a painful oral inflammatory condition for your cat. 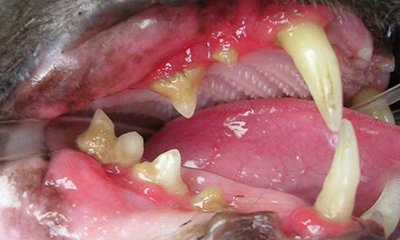 It is not an infection but rather an inflammatory disease with severe ulcerative lesions of the oral cavity. 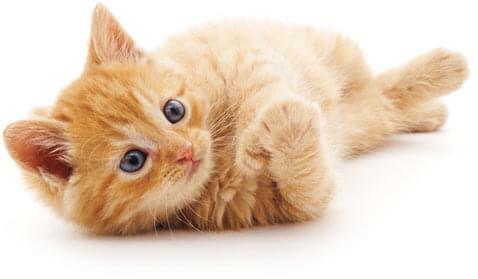 Your cat may experience a loss of appetite, has bad breath, excessive drooling, weight loss, and oral pain. Ulcers in the caudal oral region. The preferred treatment is surgical extraction of all teeth, which is commonly performed in one surgical procedure. Schedule an appointment today to have your cat evaluated for stomatitis. Stomatitis is severe ulcerative lesions of the oral cavity. It is not an infection but rather an inflammatory disease thought to be the result of an abnormal immune response to a variety of factors that include viral, bacterial, plaque, possibly food and environmental. Clinical signs of this condition include loss of appetite, bad breath, drooling, weight loss, and oral pain. On examination the oral inflammation is often extensive, affecting oral tissues other than the gingival margin, such as the caudal buccal region. The preferred treatment for Stomatitis is surgical extraction of all teeth. Medical management (anti-inflammatory/antibiotics) without extractions initially offers a fair clinical response but this diminishes over time and the lesions persist. Extraction therapy is commonly performed in one surgical procedure. A patient will receive dental nerve blocks and surgical flap approach of each quadrant to completely remove tooth and root structures. Extraction therapy has shown a cure in 60% of patients and significant improvement in 20%. Twenty percent remain refractory (inflammation remains) but fortunately, most can now be managed with cyclosporine to improve patient comfort.